This farming town is a fabulous choice for those that want a pretty base from which to explore some of South Africa’s most exquisite scenery, natural attractions and best known game reserves. But, it is also a gorgeous destination in its own right. It is home to many different restaurants, coffee shops and bars, where locals meet and visitors get to sample authentic South African cuisine. The Windmill Wine Shop offers visitors the opportunity to sample some popular wines from the acclaimed Cape Winelands, as well as to experience the unique flavours of locally brewed craft beers and coffees. The town is perched within pretty bush and rolling hills. As such, there is plenty of wildlife in and around the community. These include monkeys, baboons, little deer, and an array of beautiful birds. So, even before heading to the Kruger, visitors get to enjoy the pretty abundance of South African fauna and flora. Hazyview is home to three beautiful golf courses, and there are another four within an hour’s drive from the town centre. Two of the fantastic local courses are the Sabi River Sun Resort and Kruger Park Lodge. The Kruger Park Lodge course was designed by Gary Player and has 18 tees on nine holes. Its water features attract hippopotamuses and many birds, promising some fantastic sights while out on the greens and fairways. The Sabi River course is one of only four 18-hole courses in the province and is known for its many water hazards. The dam lies next to the 14th and 15th holes, and is home to crocodiles and hippopotamuses. 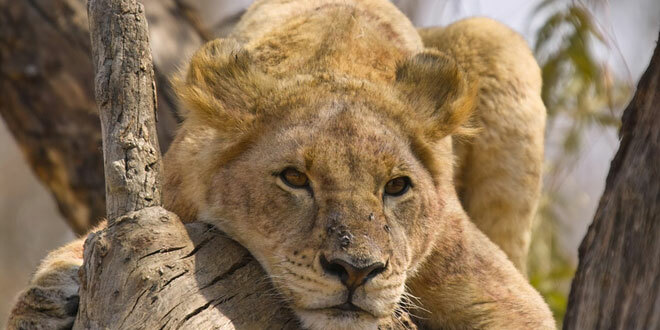 The Kruger National Park is one of South Africa’s most wonderful attractions. It is the massive natural habitat of hundreds of incredible animal species, including the Big 5 (lion, leopard, elephant, buffalo and rhinoceros). In addition, there are cheetah, African wild dog, blue wildebeest, eland, kudu, spotted hyena, hippopotamus, and many more of Africa’s wildest residents. Game drives and safaris allow visitors to explore the beautiful terrain and to see predator and prey as they hunt, graze, drink from the watering holes, and encounter one another. The Shangana Cultural Village – learn about the different African cultures of Mpumalanga here while shopping for arts and crafts. Take a hot air balloon ride over the magnificent landscapes of South Africa. The hiking trails through the surrounding countryside guarantee breath-taking views and photographs. The natural treasures of God’s Window, Blyde River Canyon, Bourke’s Luck Potholes, and the Three Rondavals are spectacular in their scale and unforgettable for their beauty. Pilgrim’s Rest is a quaint nearby town that was placed firmly on the map when gold was discovered here. Next: Lets Go Jeffreys Bay!